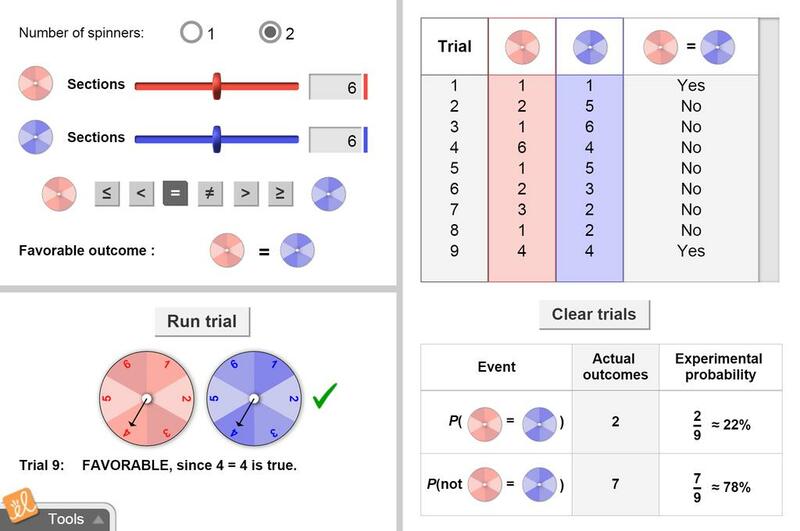 Experiment with spinners and compare the experimental probability of particular outcomes to the theoretical probability. Select the number of spinners, the number of sections on a spinner, and a favorable outcome of a spin. Then tally the number of favorable outcomes. Very fun gizmo. It's great to be able to change the numbers on the spinner and so much fun to spin.